Unibio and various European-based partners, among these the Municipality of Kalundborg, are about to take a giant leap forward in demonstrating how waste materials can be converted into high-value products. The aim is to lay the foundation for a circular economy model that has the potential to be copied by many European municipalities in the years to come. Outcomes of the project will contribute to new standardization and will be useful information for EU policymakers in terms of waste management and in the adoption of new policies. 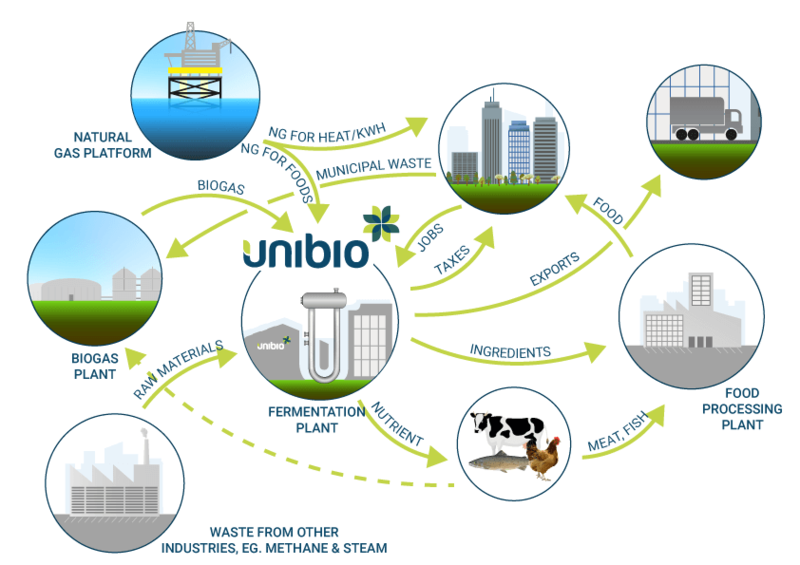 How the Unibio technology fits into the circular economy. By 2050 at the latest Denmark will only have renewable gas in the grid.